All photos courtesy of Northeast Hikes. During our White Mountains vacation, we drove from North Conway through the White Mountains National Forest to Lincoln. About half way, we stopped at Sabbaday Falls for an easy family hike. 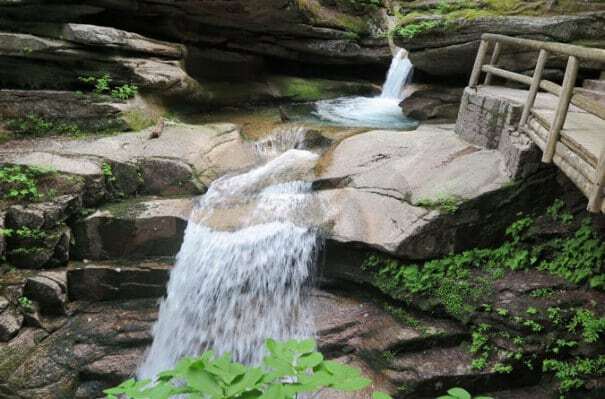 Like many waterfalls and gorges in the area, it is believe to have been carved out by a glacier over 10,000 years ago. 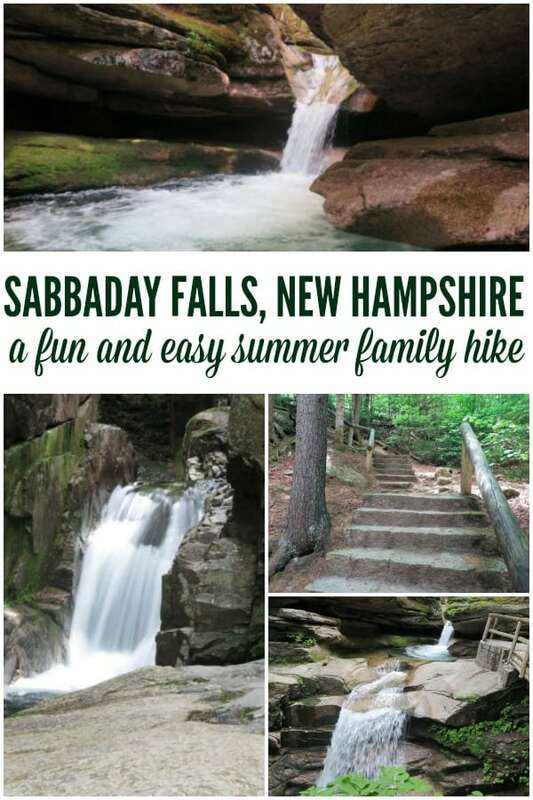 Indeed, Sabbaday Falls is much like The Flume Gorge in many ways, and is a very popular spot in the Summer. Unfortunately swimming is prohibited at Sabbaday Falls, but it’s a wonderful view and very much worth the hike. The kids may not agree as much with me as they were hot and wanted to cool off. At the moment, I can’t seem to locate these files, but when I do, I’ll be sure to share more photos with you! 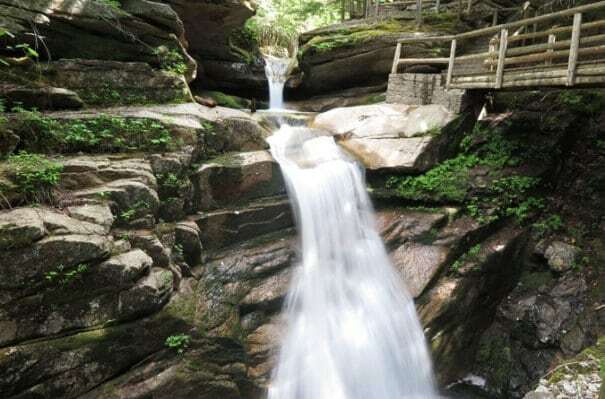 From I-93 exit 32, the Sabbaday Falls parking lot is 19.8 miles East on “The Kanc” (Kancamagus Highway) which is also known as Route 112. When traveling East , the lot will be on the right. 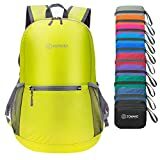 For hiking tips from someone that really knows what they’re talking about, check out Northeast Hikes. My friend Daren, a fellow Mainer, has been hiking all over New England for years. By the way, I highly recommend his book, Open Season. I agree! This is a really great spot for families. And it’s a good place to go on a hot day too because a lot of the trail is shaded.